Project: Superfotelik – Chroni na bank is a unique image campaign supporting key brand values ​​while positioning Nest Bank as an institution that supports the needs of Polish families. Objective: Increased brand recognition, strengthening of the bank’s position on the market and expanding the circle of its clients. In order to attract interest and reach our target audience, we used a whole range of tools and communication channels, often unique to the financial industry. It allowed us to built a broad reach for the campaign. We invoved ambassadors and partners who brought in expertise and personal experience. The main partner was Paweł Kurpiewski – expert on safety and biomechanics of collisions. The ambassadors were the celebrity parents – Kasia Cichopek and Marcin Hakiel. We also collaborated with a leading parenting blogger – Szczesliva.pl. We involved celebrities who, as parents with their children, took part in a conference and discussion in social media – Justyna Tomańska and Mariusz Totoszko, Karolina Malinowska, Monika Mrozowska, Agnieszka Jastrzębska. The expert sposnor for the campaign was the Automotive Industry Institute and the expert from the Police Headquarters was the deputy chief Robert Opas, who observes the effects of inappropriate child protection against car accidents firsthand. 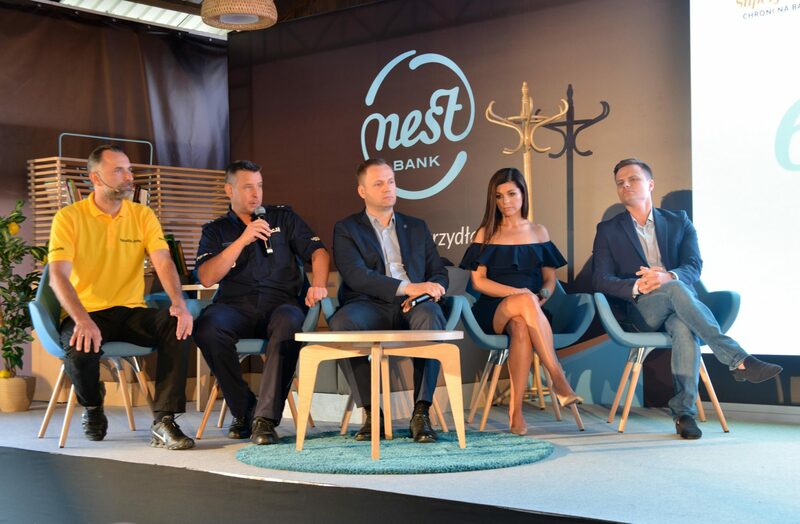 Already during the conference the media started publishing information about the new campaign and the Nest Bank offer for families through their social media channels (Bankier.pl, Puls Biznesu, Jastrząbpost). There have been 304 publications in nationwide media so far. (Dzień dobry TVN, TVN Turbo, Polsat News, TVP, Polskie Radio Jedynka, Czwórka, 24, Rzeczpospolita, Gazeta Wyborcza, Polska The Times, Fakt, Onet.pl, Interia.pl), lifestyle and parenting media (M jak Mama, MamaDu, Claudia) and regional media (DziennikLodzki.pl, DziennikBaltycki.pl, KurierLubelski.pl, GazetaWroclawska.pl). The campaign together with the financial product also met interest and positive recommendations of the Polish blogosphere (Samcik.blox.pl, subiektywnieofinansach.pl, Szczesliva.pl). We achieved a total reach of the campaign at the level of 234,298,501 people.